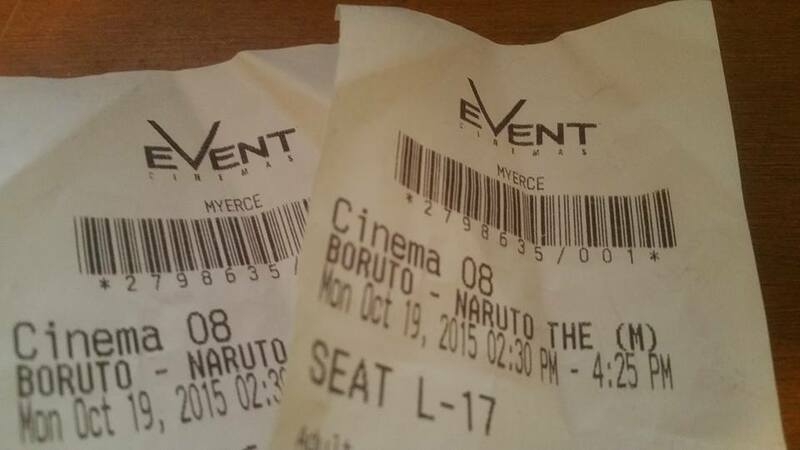 Yesterday my husband and I were lucky enough to see Boruto: Naruto The Movie in cinema. We had to travel into the city – about half an hour by car! Once we arrived I looked around and was disappointed by the lack of promotional posters! We obtained our popcorn, choc-top, Maltesers and drinks and made our way to the ticket booth. I can’t believe the tickets were $18.50. Ew! Regardless of how excited I was going into the movie; I had no expectations! I was pleasantly surprised by how much I enjoyed Boruto. It easily became my favourite Naruto movie of all time. Previously Road to Ninja held that title. I know it sounds cheesy but honestly I enjoyed everything about Boruto: Naruto The Movie. I was amazed by the intense character development portrayed in two hours. In particular the development of both Boruto and Sasuke. For instance in Naruto Gaiden: The Seventh Hokage and the Scarlet Spring, Boruto appeared to be yet another typical bratty child. Thankfully Boruto: Naruto the movie gave him so much more depth. You are shown that the rocky relationship between Boruto and his often absent father is the catalyst for his behaviour. My heart sank during Himawari’s birthday party. Boruto was so excited that Naruto had actually remembered his little sister’s birthday. 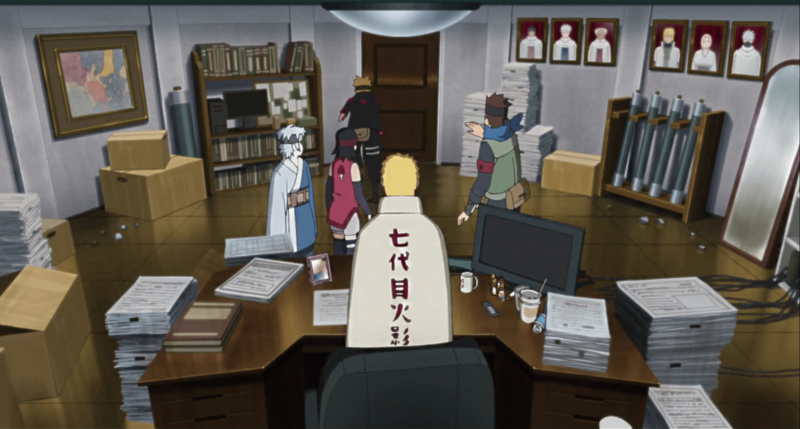 It seemed like the perfect family moment until Naruto dismissed his shadow clone while he was bringing Himawari’s birthday cake to the table, resulting in it falling to the floor. Kishimoto had previously stated in an interview that he based the relationship between Boruto and Naruto on his own relationship with his sons. He stated that Naruto took up so much of his time over the last decade that he hardly saw his sons at all. Knowing that made the numerous parenting scenes all the more potent. Sasuke was the perfect mentor for Boruto, picking him up when he had fallen and teaching him what it means to be shinobi. It was also nice to have a main character who wasn’t so obsessed with wanting to become Hokage. It was a breath of fresh air to see someone who actively despised the role for the toll it took on the family members. All in all Boruto: Naruto The Movie did a wonderful job presenting numerous characters in a much better light than the series did previously. On the other end of the spectrum it also allowed you to see that Naruto was far from perfect; to the point of feeling angry at him for being such a clueless father. Konohamaru. I actually liked him as a child. I even listed him in my Top Ten Favourite Naruto Characters at number nine. He was feisty and talented. He even managed to beat one of the Sixth Paths of Pain all on his own! This Konohamaru seems to have regressed somewhat. He felt a bit awkward and really not what I would have expected from someone of Hokage lineage. I personally feel that he could have been written a little differently. A lot of people have issues with the villains. I really didn’t. I feel like they were there for two reasons. Firstly they allowed us to see some action. Naruto and Sasuke fighting together, the Kage and Boruto with his ultimate Rasengan. Secondly I believe Kishimoto wanted to include both more Otsutsuki clan members and references to the clan itself. Which would hopefully result in the validation of the sudden appearance of Kaguya. Also who didn’t see the Mitsuki post credit reveal coming. Come on guys. I was really pleased with how Boruto: Naruto The Movie turned out. Kishimoto stated that he only had five months to do it in, yet it is the best movie yet. Everyone who has seen it has nothing but praise for it. The pacing is perfect, character development is strong, the animation is lovely; particularly during the last fight! I am so glad that I got to see it on the big screen, surrounded by fellow fans who reacted to character interaction in the same way I did! I just hope that the DVD comes out sometime this year. I need to see it again!